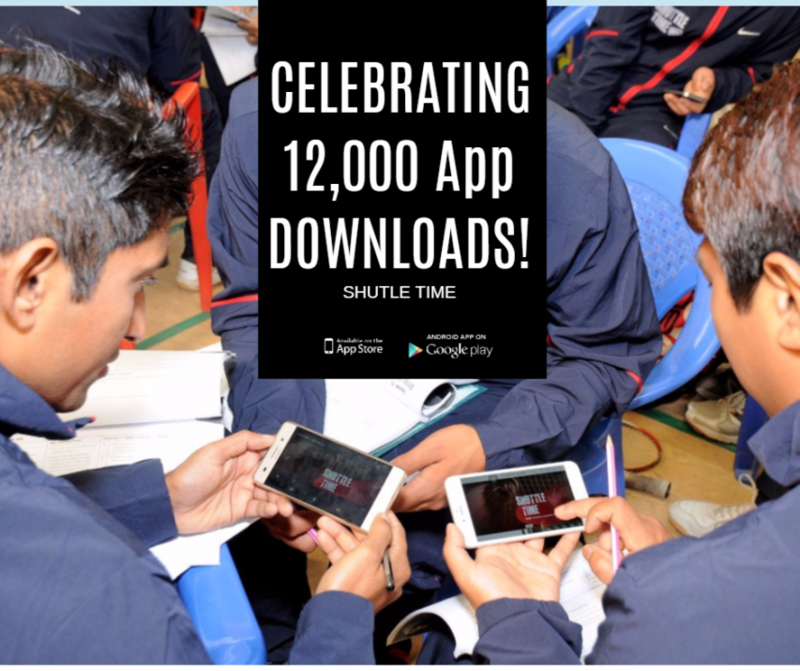 Celebrating Over 12,000 Downloads of the Shuttle Time App! We’re extremely pleased to announce there are now 12,000 teachers using the Shuttle Time App to teach badminton to kids in their schools! The mobile App has grown in popularity with teachers in all of the world within a year since its launched and we have received fantastic feedback from both teachers and individual about how using the App has made life for physical education teachers easier than ever, which in turn improves the kids lifestyle of playing badminton. We are so pleased to hear such good feedback for our App, and we are looking forward to celebrating 20,000 downloads next! If you’re not using our Shuttle Time App yet, simply go to your Android or iOS store and search “Shuttle Time” to download for free!